Have you ever had that really cool idea for a character, but when you go and try and actually make it using the rules for whatever game system your group is trying to use, you find out that you really can't do it? Tired of having to create a bunch of house rules in order to satisfy the desires of your players? well, Tavern Tales is here to help out. It's a new RPG system that's up on Kickstarter and looking for funding love, and it promises to let you create any character you can possibly think of. The game uses lists of themes that you can pick from for your character, instead of using the "race and class" system common to many games. These themes then let you pick up traits that you can use to associate with your character. As such, the variety of possible character builds is greatly increased. Also, the game is meant to be cinematic and story-driven. 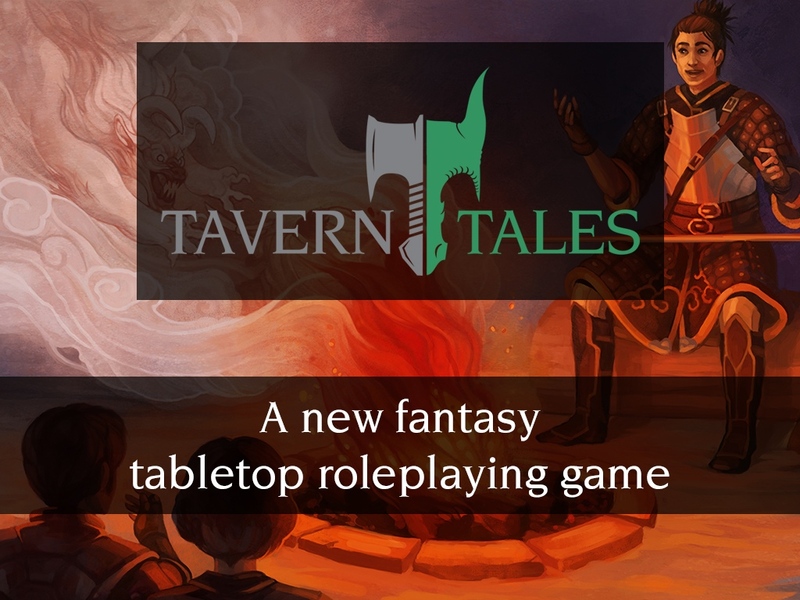 I've always thought that an RPG is more like a "group storytelling" sort of thing, and it seems Tavern Tales agrees. So the things you do in the game can be a bit grander in scale, as long as it's good for the story. The campaign is about 1/4 funded with still 28 days left to go.